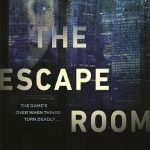 Robyn Walton, Sisters in Crime’s Vice-President, spoke to Megan about her new thriller, The Escape Room (Michael Joseph, 2018). You can catch Megan on a Sisters in Crime panel on Friday 7 August, 8pm at South Melbourne’s Rising Sun Hotel. Click here for details and bookings. Megan, we first met when you spoke to a Sisters in Crime audience about your debut novel, The Girl in Kellers Way. Now we can congratulate you on the publication of your second novel. Are the two books similar? The two books are very different. They’re both thrillers, of course, but that’s where the similarity ends. I wanted to explore new themes and characters and a totally different setting, and I opted not to write another domestic noir novel after The Girl in Kellers Way. I may in the future, but I was eager to try something new with my writing when I embarked on my second book. I was very keen to write a thriller set in a corporate setting, which I felt offered an embarrassment of riches when it came to conflict. You give us a locked-room mystery-psychodrama. Could you say a little about this? I had this idea that kept on gnawing at me which involved setting a thriller in an elevator – the ultimate locked room mystery. It would challenge me as a writer and it quite frankly intrigued me to test the limits of the human psyche through my fictional characters. Elevators are really rather fascinating places. They defy our natural human instinct. We often stand squeezed together with other people intruding into our personal space. We have to put our trust in steel cables to lift us sometimes hundreds of metres off the ground. It can be socially awkward and intimidating sometimes to ride in elevators with strangers. So I felt it would be an interesting place to set a psychodrama. I was also quite fascinated by the secrets between colleagues and thought it would be interesting to put colleagues in an elevator and allow the situation and their confinement to test the bonds of their relationships and rivalries. The premise fascinated me. 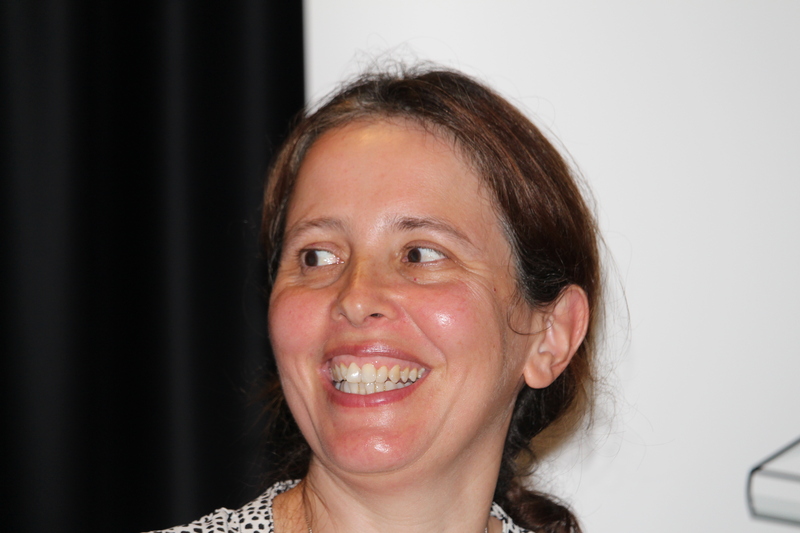 Recently we heard from author Sarah Epstein about her novel Small Spaces, which features confining and claustrophobic elements in the storyline and narrator’s psychological journey. Coincidence, or have you noticed this theme in creative works? It’s a coincidence as I didn’t research what other people had written in this very fringe sub-genre. To be honest, I think if I researched what else has been written every time I wrote a book then I’d be discouraged! Your locked room exists in the context of the finance and investment banking sub-culture of a major Western city. There are things about this industry/economy that made you want to show and tell? I wanted to explore greed and I felt that the financial industry was the ultimate industry from which to draw my characters and set my story. This is an industry that revolves around greed whether their own or others; bankers’ bonuses, sales commissions and the great capitalist enterprise. Beyond that I was also fascinated by the way that colleagues are rivals for resources such as salaries and bonuses. I felt that characters in the financial industry would be particularly savage about competing for their share and even more so if it happened when they were all stuck in a lift. In alternate chapters we meet Sara, an intelligent but naïve MBA graduate beginning her Wall Street career. This is a moral study of an ingenue’s progress? Yes, I suppose it is in some respects. It is a study about corruption and about the compromises people make in their moral codes to achieve their ambitions. It’s also about how companies try to bend their staff to their value systems and often how companies spit loyal staff out when they have exceeded their usefulness. Also, we start to get to know another employee, Lucy. In Sara’s view, Lucy is unworldly. Is Sara right? Lucy seems unworldly on the surface but she sees things that other people don’t see. She is extremely intelligent with poor social skills. Her colleagues assume that because her social skills are so awkward she doesn’t realise what’s going on around her. They greatly underestimate her. The four people trapped in the “escape room” are more showy and successful in the worldly sense than Lucy and Sara. What can you tell us about Vincent? Vincent is the head of the team of people trapped in the elevator. He is a leader in every respect. He is powerful and hugely successful and charismatic. But when he is stuck in the lift he loses his advantage over his colleagues. Being stuck in the lift levels the playing field. Sam has worked his way up the corporate ladder out of sheer ambition and buckets full of charm. He has the perfect life: a trophy wife, a gorgeous house and a great job. But the Greek tragedy of his existence is that the more he gets the more he wants and thus he is supremely dissatisfied with his life. Jules came from wealth and has an enormous sense of entitlement. He has many flaws and let’s just say that the elevator doesn’t bring out the best in him as in fact it brings out the worst in all the characters. Sylvie is a woman in a world dominated by men. She’s learned to play their game but at a great personal cost. And she’s learned also that no matter how much she tries to be one of the boys, she will always be somewhat of an outsider due to her gender. Word and number puzzles are set for the four trapped people by some invisible Big Brother type of controller. Are you skillful at puzzles, games, clues, hide and seek? Absolutely not. I am awful at puzzles. I much prefer playing trivia games than doing crossword puzzles, so developing the clues in the book really stretched my puzzle-making abilities! Did you pre-plan all the interactions in the elevator car? Did you have any difficulties “choreographing” the movements of the four bodies in that small space? I’m not one for pre-planning. I have a tendency to wing it when I write. But I do tend to put myself in the situations of my characters and then figure out how most people would react in that situation. Also, I was stuck in a lift so I had something of a sense of what one might do in that situation. Finally, I read accounts of people who were stuck in lifts, including a man who was stuck in a New York elevator for 41 hours. That gave me an idea of how a person would react when stuck in an elevator for so long. In fact, there is CCTV camera footage of the man who was stuck for 41 hours and I watched some of the footage to see what he did during his ordeal. What about pacing the plot developments? Did you know in advance what condition the trapped people would be in when the doors opened at last? I generally always know how my books will end, and in fact in this novel it begins with the ending. However, I wasn’t entirely sure what happened in the elevator to reach that ending until I wrote that section of the novel. I think it kept me on my toes not knowing what would happen until I wrote it. And how early did you determine the outcomes for Sara and Lucy and their families? I don’t want to give too much away in terms of plot spoilers, but I do tend to just write and figure things out along the way and the story natural evolved in that direction. Once it goes into a certain direction, I find it hard to rewrite it in a different direction. It’s sort of like taking a fork on a one-way road so once I put the characters in certain trajectories there is no going back. Is there anything more you’d like to tell us about your novel, or how it came into being, or how it has been received by readers and reviewers? I tend to write my novels without showing the manuscript to anyone else until I’m done. It could be horrendous for all I know. I simply have no idea until someone else reads it. Once I was done writing The Escape Room, I showed it to my publisher and editor and they absolutely loved it. But of course, I wondered if they were being nice to me. Not long after, I managed to get a copy of the book to [best-selling thriller author] Lee Child. When I heard that he loved it and it was one of his favourite books of the year, then I really did crack open a bottle of champagne.